Are you looking for a cool treat that makes you feel like you’ve been transported to tropical island? 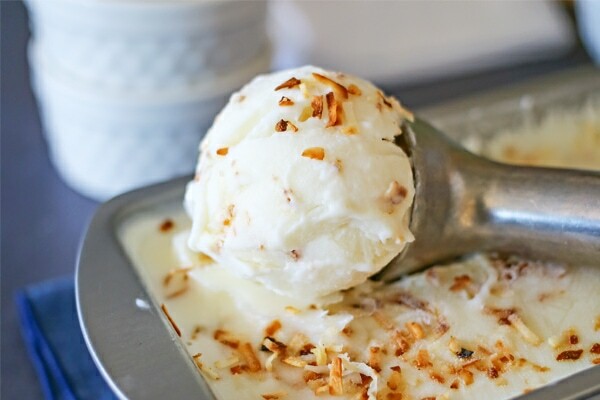 This deliciously creamy Toasted Coconut Frozen Yogurt is just the dessert to do that. Do you love coconut? I know it’s a love-it or hate-it flavor for most. 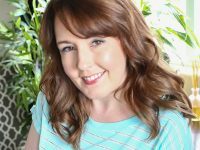 For me, I absolutely love it, and I can’t get enough…which means I’m always looking for ways to add a little bit of coconut to my days. 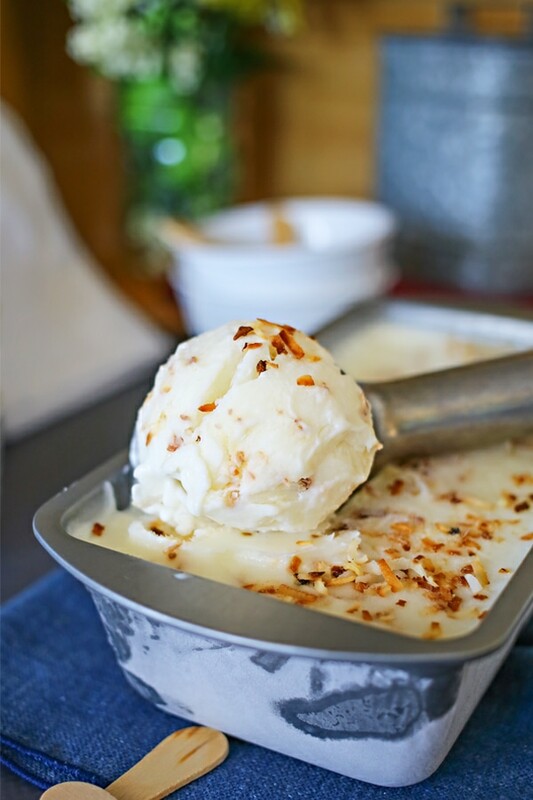 The easiest way to do this in the summertime is to make a cool and refreshing dessert recipe like this toasted coconut frozen yogurt. 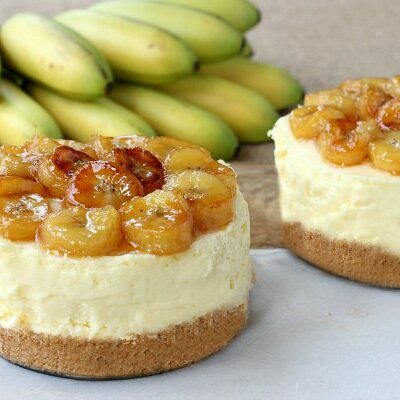 It’s light and refreshing and oh-so-tropical with every creamy bite. The best part is that it’s incredibly simple to make too. No ice cream maker needed! For years I have been making my standard frozen yogurt recipe that requires more ingredients. But I have really been wanting to pare it down, re-work the recipe and simplify it into something even better. After a few tries, this one is everything I could have ever wanted out of a frozen yogurt recipe. All you will need are 5 simple ingredients and a few minutes of prep time to create this delectable dessert. 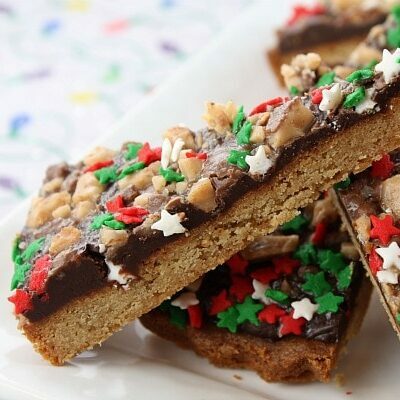 I am swooning over this new recipe and find myself making it again and again. I like to grab a little bowl, head out to the back porch and sit beneath a tree in the hammock to enjoy. It’s like a little sliver from a tropical vacation, even when I can’t get away for one. So I’m curious, what’s your favorite flavor of frozen yogurt? 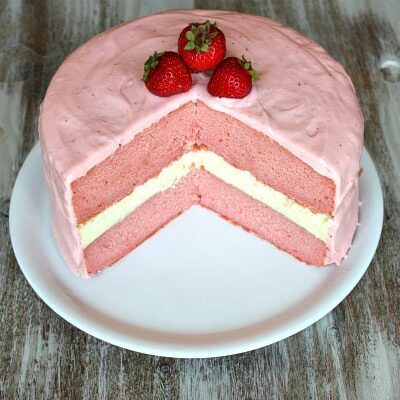 Do you like traditional flavors or lean towards the fruity side? Chill a large metal bowl in your freezer for at least 30 minutes before getting started. Once the bowl is chilled, add the heavy cream and yogurt to the bowl; whisk well. Add the granulated sugar and continue to whisk until fully combined & no longer grainy. Stir in the coconut extract. Fold in the toasted coconut. Transfer the mixture to a large freezer safe container or bowl. Cover and freeze overnight. Sprinkle with additional toasted coconut for garnish when serving. How to Toast Coconut: Heat the oven to 350°F. Spread the coconut evenly on a baking sheet. Bake for 7 to 8 minutes or until light golden brown, stirring occasionally. Here are a few more frozen yogurt recipes you might enjoy. Classic Vanilla Frozen Yogurt by Kleinworth & Co.
Banana Cream Pie Frozen Yogurt by Kleinworth & Co.
Can you transfer to an ice cream machine? just stick bowl in the freezer and freeze without stirring? I need to eliminate the sugar. Has anyone tried this with a different sweetener? 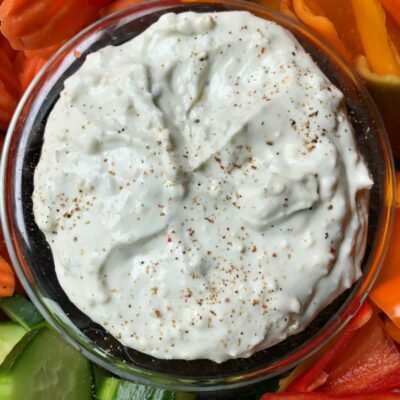 can I use non dairy whip topping (rich’s brand) instead of heavy whipping cream? I’m not sure- have you had luck with using this for other yogurt/ice cream recipes? Do you use sweetened coconut? I wonder if you can substitute Stevia for the sugar?? Anyone know? I love toasted coconut too. I’d go crazy for the frozen yogurt I’m sure. This ice cream looks insanely good! I’m on a bit of an island kick these days myself, and this looks delicious. 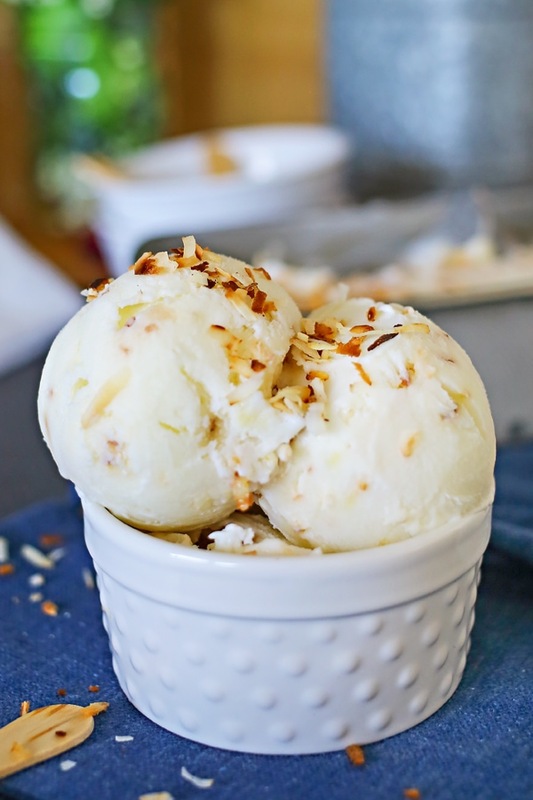 As far as I’m concerned, you just cannot go wrong with toasted coconut! Great recipe Gina! 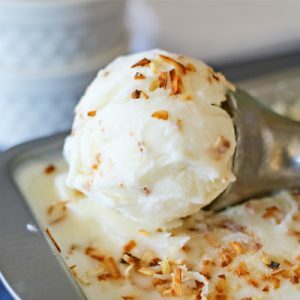 I DO love coconut, and I can’t wait to make this!